Karuna Ministries, India— “Karuna” is a Hindi term that means compassion/mercy. 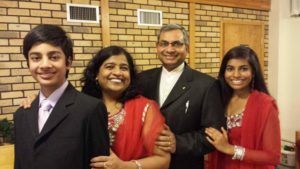 They are about sharing the love and compassion of Jesus Christ with the people of India. Karuna Ministries is a non-denominational, indigenous, faith-based, ministry based in Rudrapur, northern India, not very far from the Himalayas. Through Karuna, a few called and committed native North Indian laborers are tirelessly engaged in fulfilling the Great Commission of our Lord Jesus Christ by pioneer evangelism in hard-to-reach villages, planting churches among unreached people groups, training believers in evangelism and discipleship, providing quality Christian-value-based education to poor children in the slums, helping the poor and needy with seed amount to be financially independent, and reaching out to the community through compassionate services such as medical camps, distributing blankets, food, and clothing to the homeless. We connected with Rev. 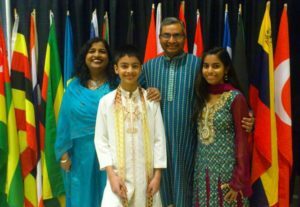 Dr. Vinod John during our time at Asbury Theological Seminary in Wilmore, Kentucky, and his vision for Karuna Ministries captivated us and led to a partnership that blesses us both. For more information or to direct prayers specifically, please visit www.karuna-ministries.org.